Crop monitoring and management has never been more desperately needed. Water prices have doubled in the last 12 months in Australia putting immense cost pressures on crop growers. 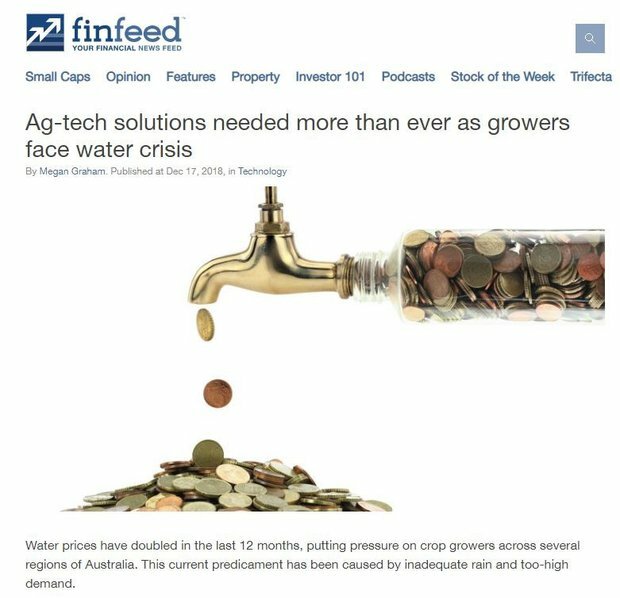 Solutions that could help manage water usage and crop preservation in times of scarcity are imperative as the rising cost of water means Australian farmers are doing it particularly tough. However, the tide is turning as ag-tech companies the world over look to alleviate the pressure. The company and its technology are fast gaining attention. In the past few months, CLI has expanded its presence in Idaho, US; laid the groundwork for its imminent entry into the US state of Oregon; and made its first ag-tech hardware and software solution sale at its new Australian office in Mildura with an eye to penetrating the Sunraysia region. That product is its CropLogic realTime solution, which weaves science, agronomy and technology together into an expert system to support growers in their decision making. It delivers a real-time industry leading soil monitoring solution that utilises sensory probes to help optimise crop yields. As far as its entry into Oregon is concerned, in November, the company announced it was looking at opportunities within the state’s industrial hemp market and had duly appointed two consultants. One of these consultants, Green Rush, delivered a report this month detailing current trends and demand for hemp and CBD products, licensing and growers, addressable markets and more. In summary, the signs are looking positive for CLI’s strategic, vertically-integrated entry. President Trump’s December signing of the 2018 Farm Bill that includes the Hemp Farming Act of 2018 and sees hemp officially removed from the Controlled Substances Act, was a bonus. Hemp growers and hemp CBD companies will no longer face federal regulations preventing them from growing or marketing hemp. And CLI is just a hop, skip and a jump away from being added to the list of companies and investors who stand to directly benefit. There is one further piece of information that could lead to CLI’s quick growth: the addition of 30 year agriculture and agribusiness veteran John Corbett as Non-Executive Director is also a definitive step in the right direction. The appointment was made following a A$2.6 million placement offer, with Corbett expected to provide post-product development services like financial strategy and commercialisation, which are attributes that will help facilitate CLI’s growth at this point in time. Corbett has held key roles with ANZ and Suncorp, and was previously a foundation Director of Hassad Australia which invested and managed $500 million in Australian agriculture. It’s safe to say someone with that much experience is likely have a few industry connections. At this stage of the company’s growth it’s all about linking up with the right people and breaking into key markets. 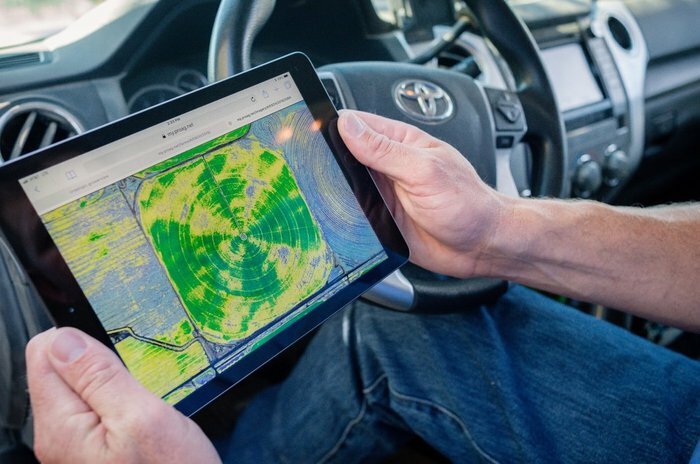 Given the current state of agriculture in Australia, identifying and attracting customers that need help optimising yields shouldn’t be difficult. The current predicament of inadequate rain and too-high demand for yield, has led many farmers to reconsider the cost-benefit-risk profile of planting crops. The following video clearly demonstrates how devastating and cruel the current drought is, so it is an understatement to say that any relief would be most welcome. CropLogic (ASX:CLI) is hoping to ease the burden with two ag-tech solutions that it hopes can alleviate the burden on crop growers. Now, let’s have a look at these innovative products Cooper-Jones is talking about in more detail, before we dive into CLI’s global expansion. 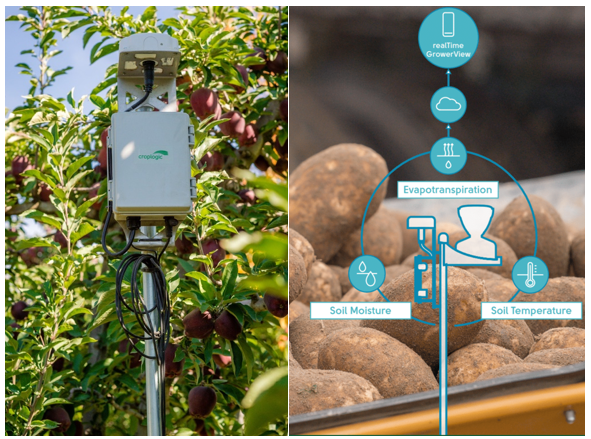 Croplogic realTime is remote sensory technology which monitors soil moisture levels and temperature, allowing growers to optimise crop yield and performance. The second product, CropLogic Aerial Imagery, is available exclusively in the US, a region in which the country is rapidly expanding. CropLogic Aerial Imagery provides the ability for early detection and intervention of problem areas on a farm, by giving a bird’s-eye view of crop health with high-resolution digital infrared, vegetative index and normal colour imagery. It is a 24-hour turnaround service, which notifies clients via text when their images are ready to view. CropLogic Aerial Imagery has the capacity to be a faster, more accurate ‘first line of defence’ in responding to pest or weed infestation, nitrogen deficiency and other crop health risks. CropLogic Imagery’s cameras are mounted on fixed wing planes to service clients across its 28,000 acres under active management throughout Washington State, Idaho and Oregon. Their numbers have jumped from just 87 CropLogic realTime sites in the 2017 growing season to 522 in the 2018 season, for a five-fold increase in the year. The process involves growers making imagery requests direct to CropLogic’s Sales Office in Pasco, Washington. Imagery requests are geo-coordinated and scheduled. Flights are then undertaken periodically to capture the field information progressively. The imagery is processed inhouse and the data is assessed, pointing clients in the direction of problem areas. Lastly, a CLI agronomist will follow up with the client directly. In peak season, CropLogic will fly over 200 fields a day using this process. While it’s still early days, CLI has already had success with Croplogic realTime in the US, particularly in Washington — which is host to the Columbia, Yakima and Snake River agricultural basins. An additional office will be opened in Southern Idaho, in partnership with the City of Twin Falls, the College of Southern Idaho (CSI) and Southern Idaho Economic Development as a way for growers in the high-production agricultural region to access CLI’s suite of tech solutions. Following the expansion, Cooper-Jones told online news site PrecisionAg, “Partnerships and relationships are a top priority for CropLogic. Having established ourselves in the Columbia Basin, Washington State in early 2017, the take up of our technology in that region has been beyond our expectations. This has been largely due to the partnerships we have developed in that area. There are nearly 25,000 farms and ranches spread over 11.8 million acres of land in Idaho, with between 2.8 million and 3.5 million irrigated acres. The state is the nation’s number one potato producer, contributing up to 32% of the country's production. It is also the number one state for Austrian winter peas; the number two producer of barley, sugarbeets, prunes and plums; and the number three producer of hops. That’s a lot of crops, and a huge addressable market for CLI in the medium-term. Idaho is not the only new market that CLI has its sights set on. The innovative ASX junior is also making headway in its plans to enter the Oregon hemp market. 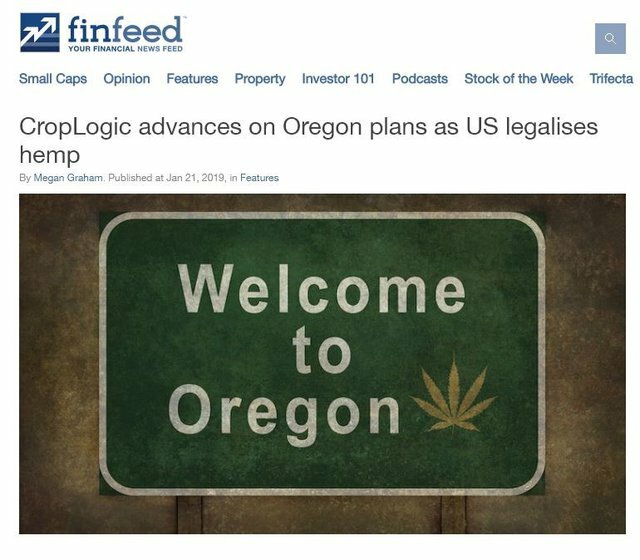 In November the $3.8 million capped ag-tech junior announced it was looking to enter the Oregon industrial hemp market (the third largest in the US), and had appointed two consultants to help: corporate advisor Green Rush Advisory Group and law firm Green Light Law Group. The region is host to an emerging agronomy and digital agricultural innovations in hemp and CBD production. Thus, it’s no surprise that CLI sees Oregon as the place to be. A significant report was delivered just this month from Green Rush, including details relating to the current trends and demand for hemp and CBD products, licensing and growers, the addressable market — a comprehensive look at what could be in store for CLI if it can crack the market. The report notes growth drivers of the industrial hemp market are the “relatively low cost of engagement, comparatively lower owner and investor risk regarding hemp production, continual research and confirmed benefits of CBD products which can be manufactured using industrial hemp, as well as scalability advantage with there being no limit on the scale of hemp production in Oregon”. Further, the report provided insight into which licence type it would require for industrial hemp — grower, handler or agricultural hemp seed registration — with the company, consequently, determining it would seek a grower license. Oregon currently has 576 registered industrial hemp grower registrations, up 4369% since 2015. Moreover, the acreage used for industrial hemp has grown 960% to 11,000 acres in that time. This is a similar rate of growth to that of the hops market in Washington, which CLI is already servicing. The report identified a number of ways forward for CLI: either start a new hemp business, buy an existing hemp business, or create a stakeholder engagement campaign in order to develop prospective collaborations with hemp licensees. CLI is now in an ideal position to make these kinds of determinations as you can read in this Finfeed article. Thanks to the legislative changes, from the 2018 Farm Bill, hemp is now a regulated US agricultural crop, making things substantially easier for hemp growers and hemp CBD companies. 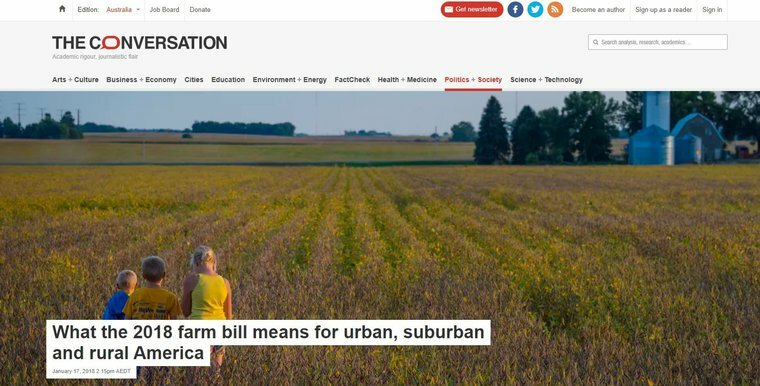 They no longer face restrictions on growing, marketing or selling hemp and will find it easier to access funding, insurance and water sources. The recent changes could see hemp growers cropping up all over the place. And like in Australia, with the effects of rising temperatures, more and more growers of irrigated crops are going to need help managing water resources. According to a 2018 Brightfield Group report, hemp CBD sales in the US are forecast to grow from US$174 million in 2016 to US$22 billion by 2022. If the prediction is right, it would represent runaway growth of 138% (CAGR). Any company in a position to get a taste of that kind of action should be feeling pretty positive right now. Which brings us back to our own drought ravaged country and how CLI’s realTime GrowerView is faring on the home front. The recent first sale of CropLogic realTime in the Sunraysia region out of the new Mildura office was a key achievement for CLI. The sale saw the company check off a key operational goal that it had set for the six months to April 2019. The new order follows the appointments of Cedric Geffen and Talitha Gollan in the respective roles of Regional Sales Manager and Sales Agronomist at the new office. 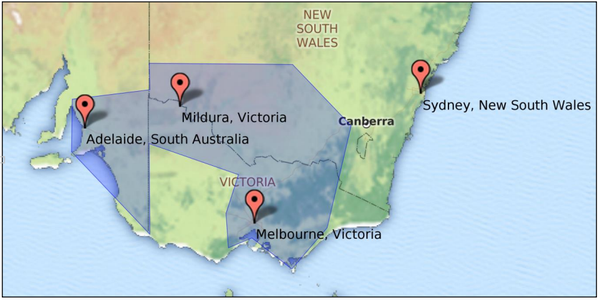 The Mildura region produces 98% of Australia’s dried table grapes. Other ‘boom’ crops produced in the area include 64% of Australia’s almonds, 24% grapes and 75% of the country's citrus fruits. These high-value crops are currently experiencing exponential crop price growth for a long list of reasons, including a strong trade environment and market demand from Asia. With CLI’s Mildura office now established, it can take full advantage of regional crop trends and expand into new target opportunities including avocados, apples and row crops like potatoes. Water management is a vital component for growers in the region as it affects the quality grade and return. As such, CLI’s Mildura-based agri-sales team are not just salespeople but experts and advisors who can assist growers in the region to improve crop yields using CLI’s ag-tech. As issues such as ongoing tensions around Murray-Darling Basin water management continue, CLI anticipates swift adoption of realTime GrowerView, which could cut users’ water consumption in the region and drive adoption of the technology throughout other regions. Alongside the aforementioned water crisis facing so many Australian growers, innovative and sustainability-based solutions like CropLogic realTime and CropLogic Aerial Imagery are becoming critical in the fight to not only keep crops alive and healthy, but to ensure they’re profitable for growers. CropLogic’s products are the culmination of 30+ years of experience, so the state of play now is not so much about building excellent products; it is about getting the word out, finding the right markets and watching sales (and crops) grow. The company raised a solid A$2.6 million in November, to help accelerate growth in its Australian and US offices. Another sign of optimism is that CLI non-executive director, Steven Wakefield has put more skin in the game, buying more than five million shares in January, while new non-executive Director, Corbett, bought up 2.6 million. It’s encouraging to see management of a small-cap commit to the company and back it in this way, particularly at such early stages. With progress being made in Australia, CLI’s presence in Washington going strong, major plans for penetrating southern Idaho’s agricultural market, and its fast-tracking of the due diligence process before it makes the leap into Oregon’s flourishing hemp market... the ag-tech junior is giving itself every chance of success. And with a market cap sitting under $4 million, there’s plenty of blue sky potential ahead.